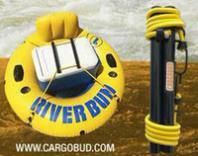 There are many great rivers to tube in Texas. The most popular, by far, is the Guadalupe, followed by the Comal. Both are in the New Braunfels/San Marcos area. What Are the Rivers People Recommend? Of course, there are plenty of other rivers to tube in. In fact, if it's moving and you can get access, you can tube it! Frio River — One of the coldest rivers in Texas. Many tube it in Concan, near Garner State Park. Guadalupe River — Located near historic Gruene (pronounced "green") Texas, this is the tubing capital of the world. Dozens of outfitters make this a very accessible and popular river. Parts can get crowded, and others can be serenely quiet. Comal River — The shortest river in the U.S. — Starts in downtown New Braunfels. Fun, and crowded but less scenery than the Guadalupe. San Marcos River — Much like the Comal, and in many people's opinions one of the best floats in Texas. Family rafting trips can be a lot of fun. 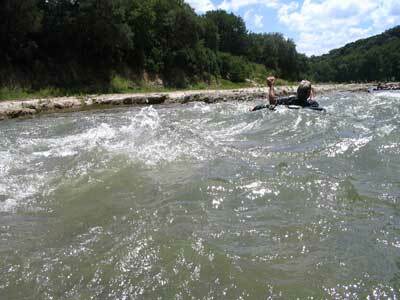 Make sure everyone can swim, because though water sports are fun, rivers can be unforgiving with the inexperienced. Consider a guided trip for first timers.